MANILA, Philippines - Despite the controversies before its airing, ABS-CBN’s newest fantasy series “Bagani,” which stars Liza Soberano, Matteo Guidicelli, Sofia Andres, Makisig Morales, and Enrique Gil, instantly captivated viewers nationwide with its pilot episode on Monday, March 5. The series received a national TV rating of 35.5% or more than double than that of its rival “Kambal, Karibal’s” 15.4%, according to data from Kantar Media. Aside from winning the ratings, “Bagani’s” official hashtag #UnangSabakngBagani also topped Twitter’s list of trending topics worldwide as netizens posted their positive comments about the pilot episode. 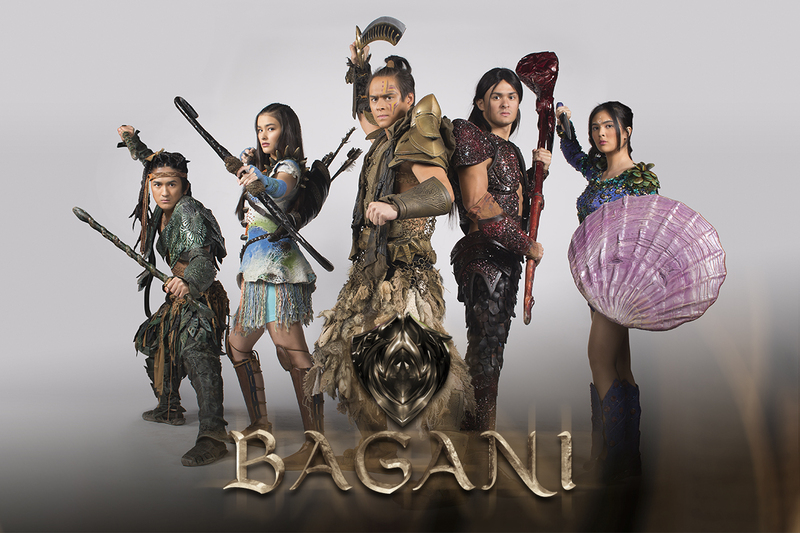 “Game of Thrones + Clash/Wrath of the Titans + Vikings + Apocalypto + the usual Filipino ‘inapi pero marangal’ story = Bagani. #UnangSabakNgBagani,” @danthology said. “From set design, cinematography, to VFX, this fantaserye really wowed me. Congrats on your pilot episode #UnangSabakNgBagani,” @seunghoonized posted. “Bagani” already gave viewers a peek of the different regions of Sansinukob and showed the humble beginnings of Lakas (Enrique). As the fantaserye continues, get to know the lives of other Baganis Ganda (Liza), Lakam (Matteo), Dumakulem (Makisig), and Mayari (Sofia), who, like Lakas, possess good hearts and are willing to sacrifice even themselves for their families and for their people. “FPJ’s Ang Probinsyano” continues to thrill viewers every night and remains as the number one weekday program in the country. Last Monday (Mar 5), the series recorded a national TV rating of 41.8%, compared to “Sherlock Jr.” with only 14.8%, according to data from Kantar Media. The show also led the list of most watched programs last February as it garnered an average national TV rating of 41.2%.